Super cute. 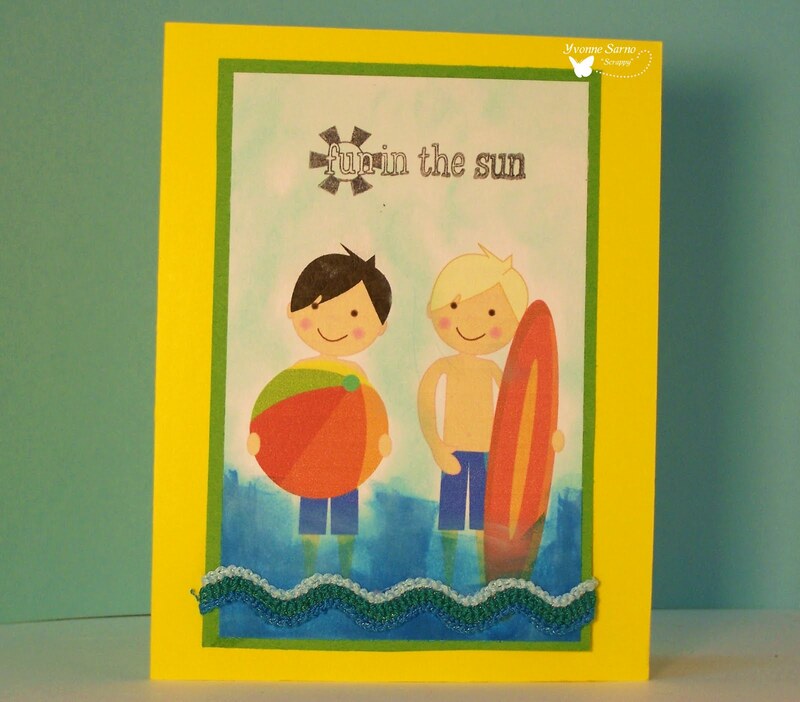 Those boys look like they are having a great time at the beach. Thanks for playing along at Amber's Crafts and Stuff. Beautiful card, love the colours and image. Thanks for joining us at Deep Ocean Challenge. Very cute card! 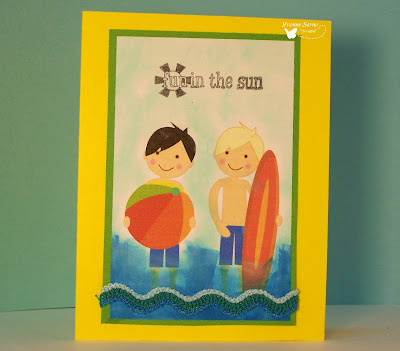 Great colours and cute stamp! !